The Econo Lodge Meadowlands, one of the great Jersey City hotels, is conveniently located near the Meadowlands Sports Complex, a sports and entertainment complex located in East Rutherford, Bergen County, NJ. Guests of the Econo Lodge enjoy this Carlstadt hotel near MetLife Stadium (home of the New York Giants and New York Jets), the Meadowlands Racetrack, the American Dream Meadowlands, and the Timex Performance Center. Comfortable accomodations at affordable prices! The Econo Lodge Meadowlands is one of the most conveniently accessible hotels in Carlstadt NJ with public transportation to New York City, Times Square, and The Port Authority of New York and New Jersey. 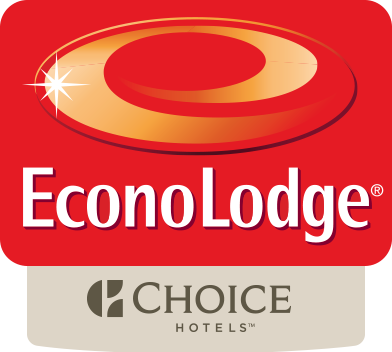 Visitors appreciate that the Econo Lodge is on of the great hotels in Carlstadt NJ that is accessible to popular NY attractions including the Empire State Buidling, the Statue of Liberty, Ellis Island, and Rockefeller Center. Major nearby airports including Newark Liberty International Airport, LaGuardia Airport and the John F. Kennedy International Airport make this Jersey City hotel an ideal choice for travelers from all locations. Our neighbor, Redd's Restaurant, provides for our guest free shuttle service to all major events at the Meadowlands. Begin the day with Continental Breakfast with fresh coffee and juice, served at the lobby during breakfast hours, 6.30 am-9.30 am. Corporate, government and senior rates are available. Whether traveling for business or pleasure, the Econo Lodge Meadowlands provides friendly customer service, superior accommodations and affordable rates to everyone visiting the Meadowlands area. We look forward to seeing you soon.